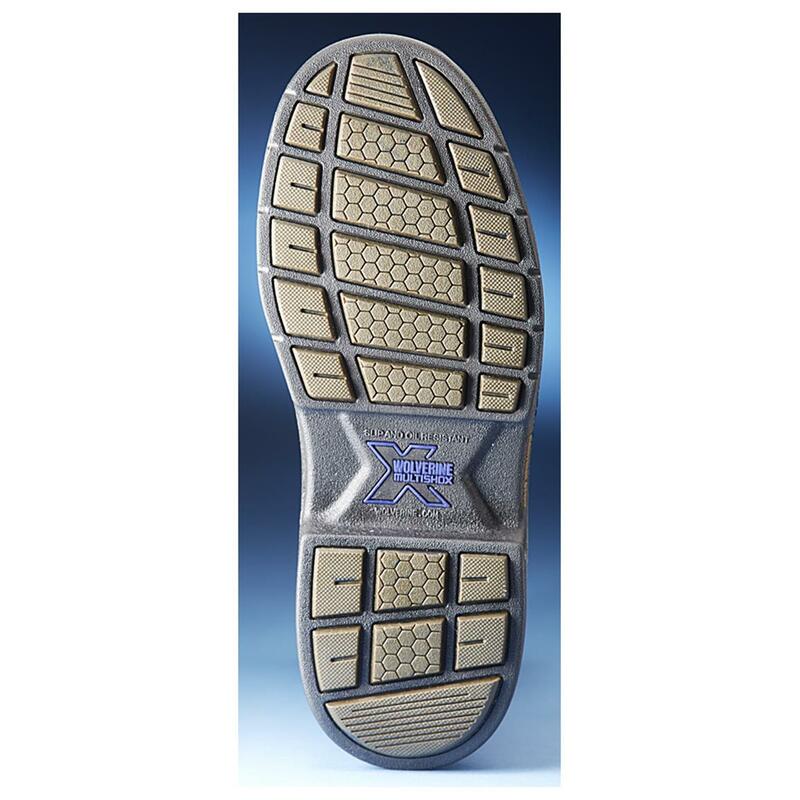 The MultiShox® insole supports and cushions your feet, while the MultiShox outsole goes to work absorbing the jarring shock of each step. The result? All-day comfort you've got to feel to believe. No more achin' feet (or legs!) at the end of a long day! The Wellington Pull-on style goes on and off in a flash. Get Work Boots that easily move with you when you order these! 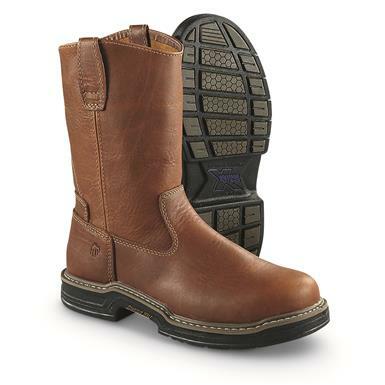 Wolverine Mens Raider 10 Wellington Work Boots is rated 4.0 out of 5 by 1. Rated 4 out of 5 by executioner from Good boot Only had these for 2 weeks or so, but so far I like them. All day in the shop and my feet are not hurting like the old boots, so support is good. I don't know about wear or anything yet, but so far so good.